Tickets to the most exciting Reunion party this year with 911, taking place on 22 June, will be on sale from 10AM on 18 April 2019 onwards. 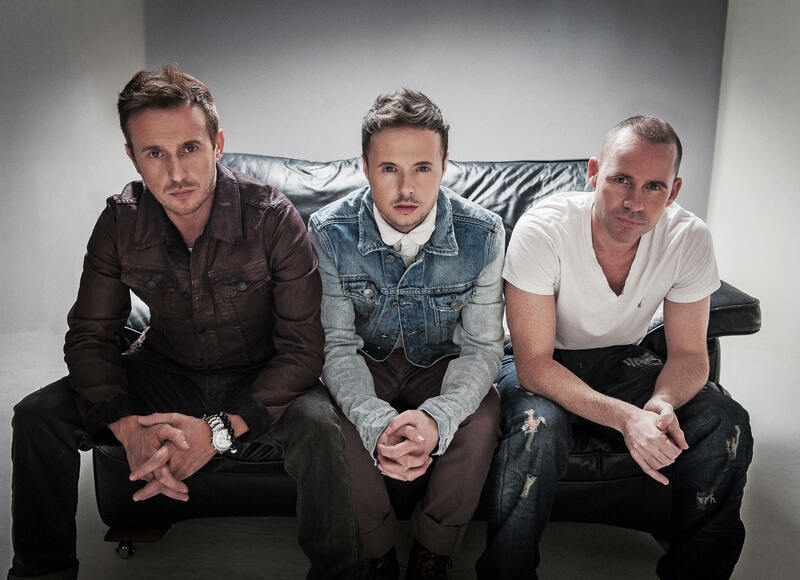 Lee Brennan, Spike Dawbarn and Jimmy Constable will be performing live at the Quill Convention Centre, Kuala Lumpur. This will be their first show in Malaysia in close to 20 years. The trio has also sent their greetings to their fans expressing their excitement in the coming show. 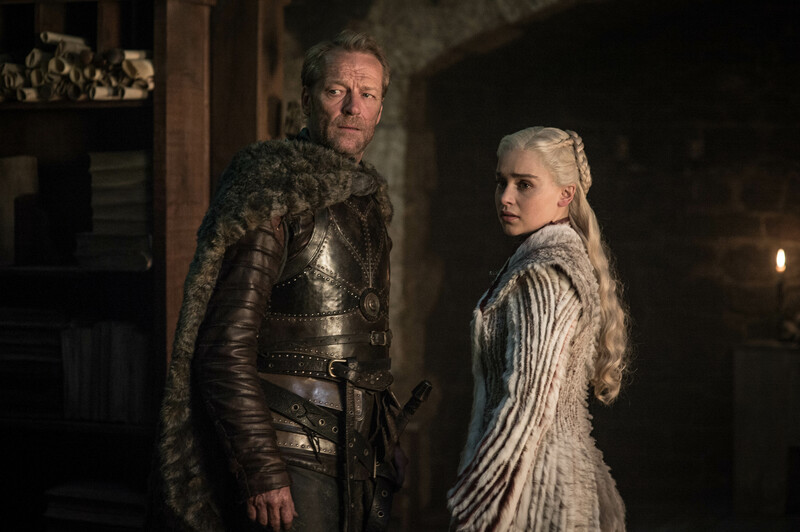 “We have been waiting for this day! It’s been too long, Malaysia! I hope our fans will come together to join us at this Reunion Party in KL. Malaysia is truly special to us,” says Lee. 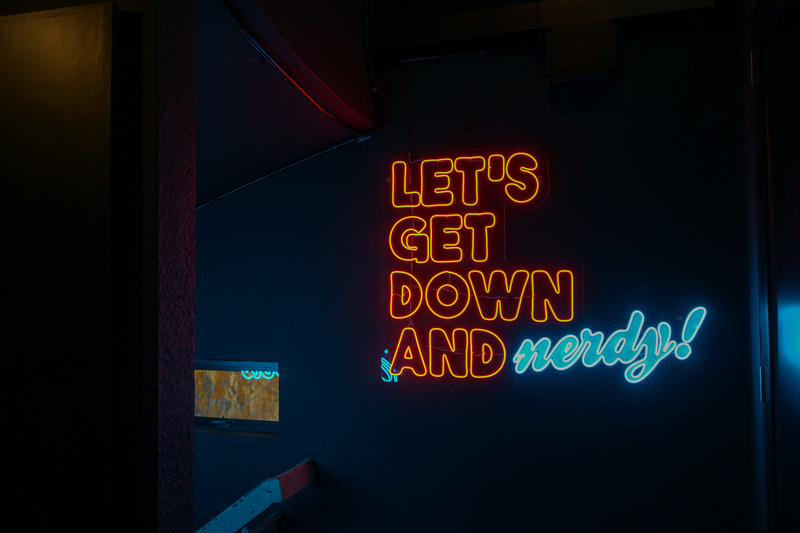 “Yeah come out and party with us. Let’s make it a night to remember,” quipped Jimmy referencing their 1st single. “And do the Bodyshakin’!,’ added Spike, who was in Kuala Lumpur in November 2018 for a private visit. The tickets are priced from RM98, RM158, RM258 and RM398. 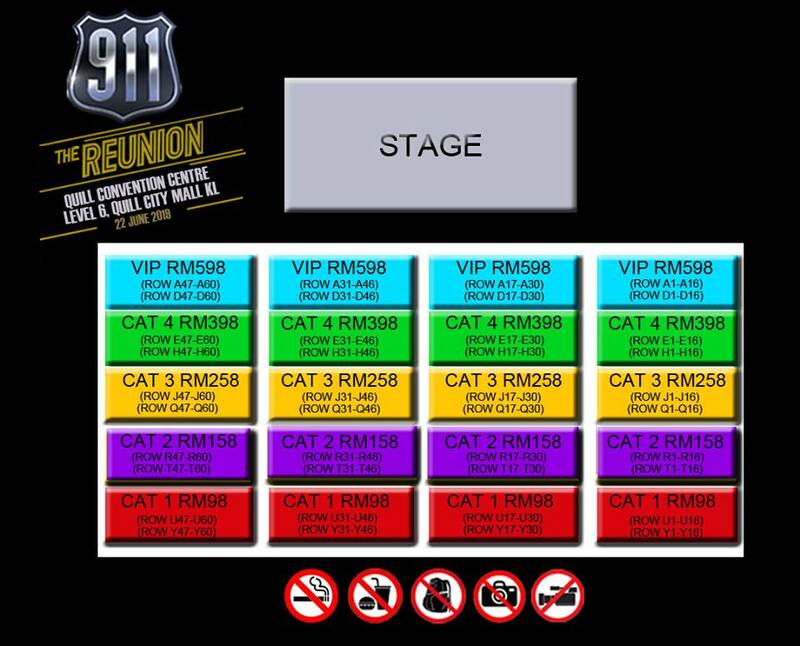 There is also limited VIP package priced at RM598. 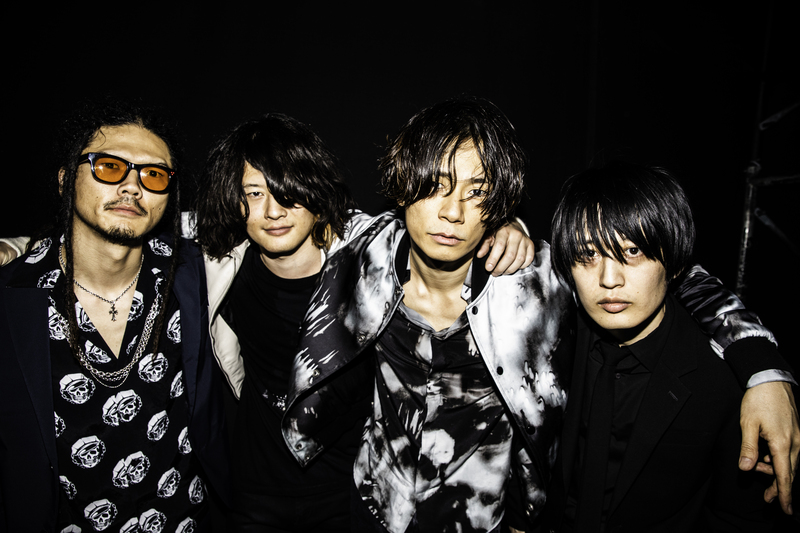 The VIP ticket holders will be entitled to an exclusive Meet and Greet with 911 after the concert. The English pop group won hearts with hits such as you Don’t Make Me Wait, Bodyshakin’, The Day We Find Love, A Little Bit More, Party People, All I Want Is You, Private Number and many more. `The Journey’ became the group’s best-selling album, with Malaysia leading the way. The album topped the local charts and reached 12x Platinum, followed by 6x Platinum in Taiwan. 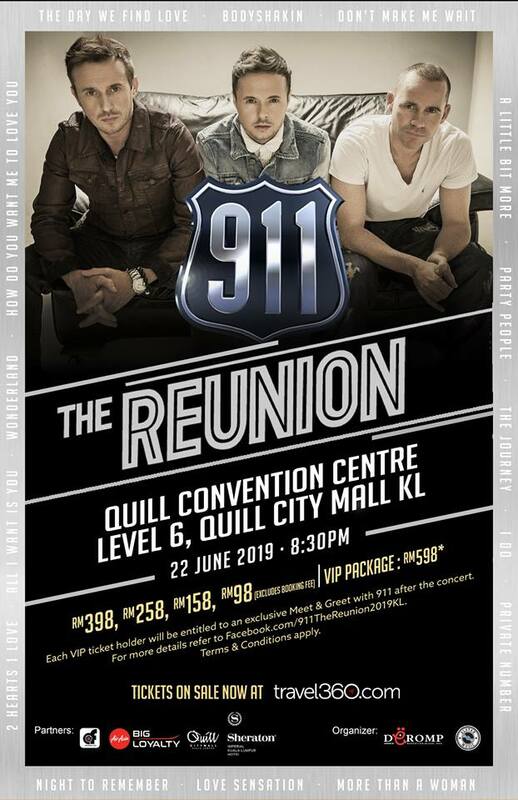 Log in to : https://www.facebook.com/911TheReunion2019KL for updates on the upcoming concert!